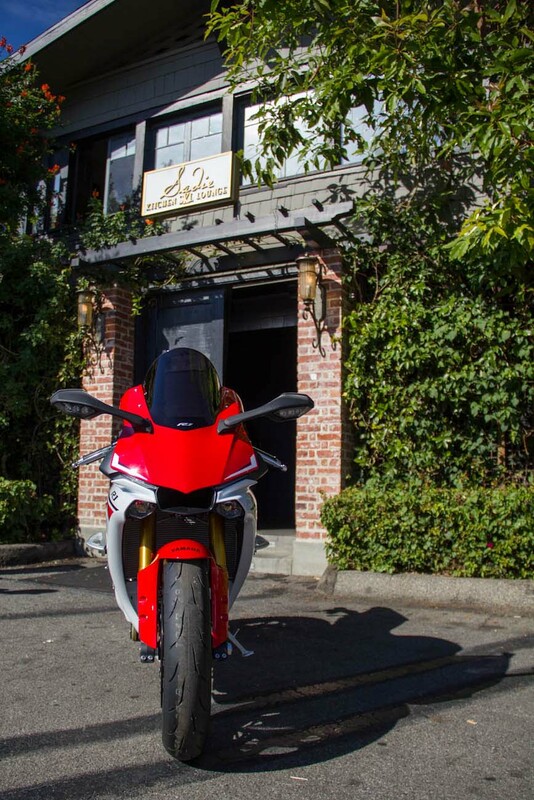 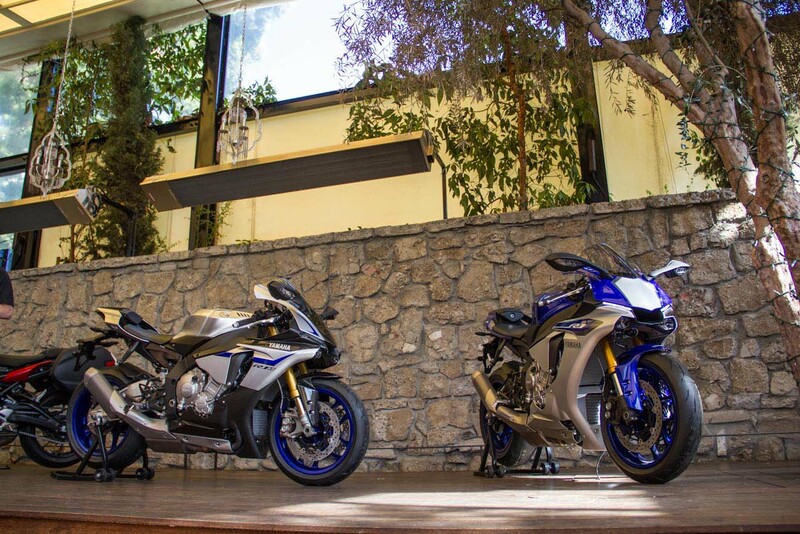 While the 2015 Yamaha YZF-R1M was being debuted in Milan, Italy at a star-studded press event, Yamaha Motor USA invited a group of journalists down to southern California to experience the new liter bike first-hand — Asphalt & Rubber was among those attending. 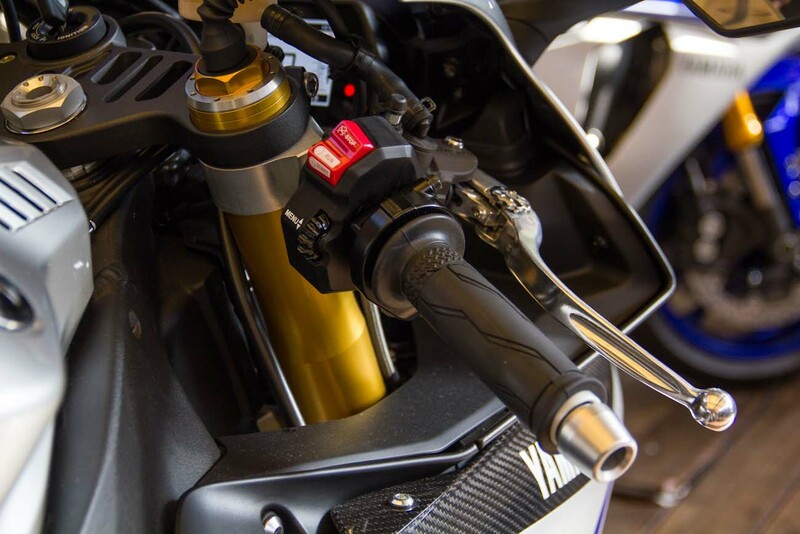 For anyone who has been up-close with the Yamaha YZR-M1, Yamaha’s MotoGP bike, then there are obvious design cues that you can see carried over to the new street bike. 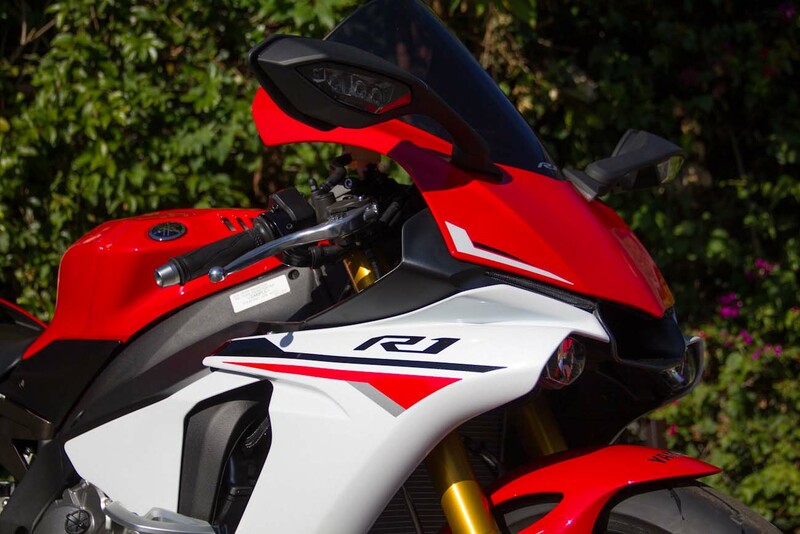 The airbox cover is gilled, the air intake is squared, with the pointy nose slightly covering it, making it look like a collapsed pentagon. 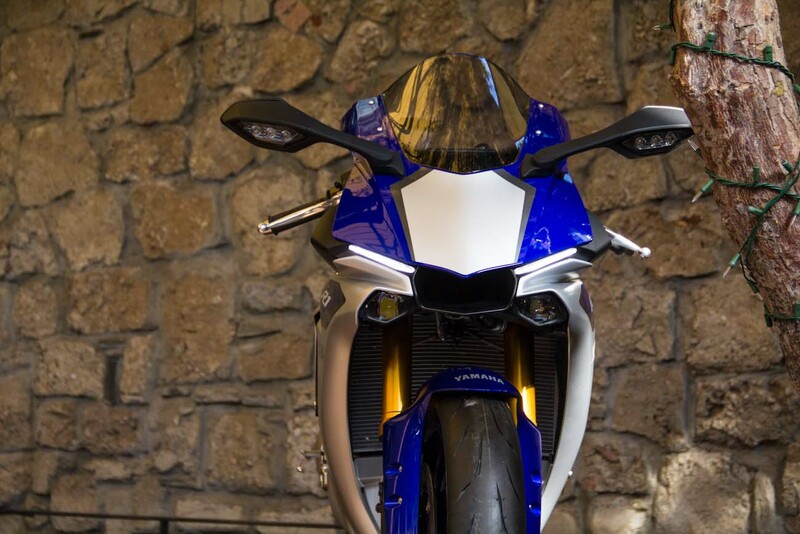 Indeed, Yamaha is trying to draw distinctions between the new R1 and its sophisticated M1 race bike. 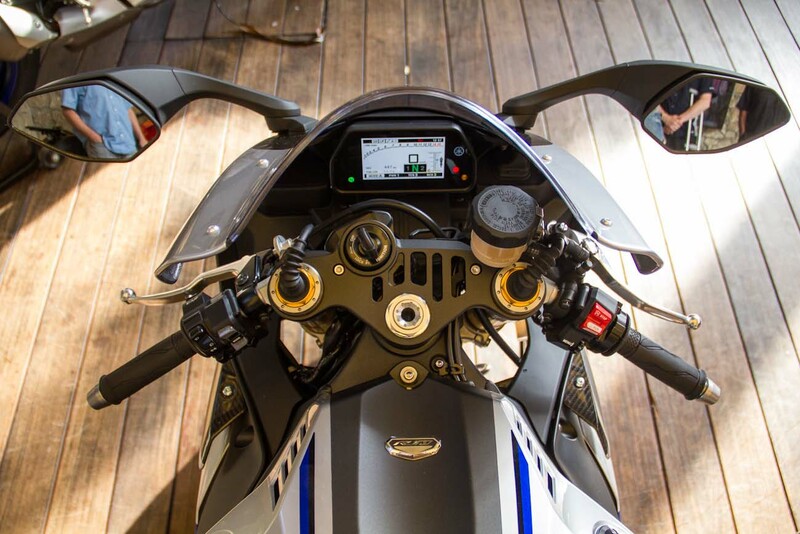 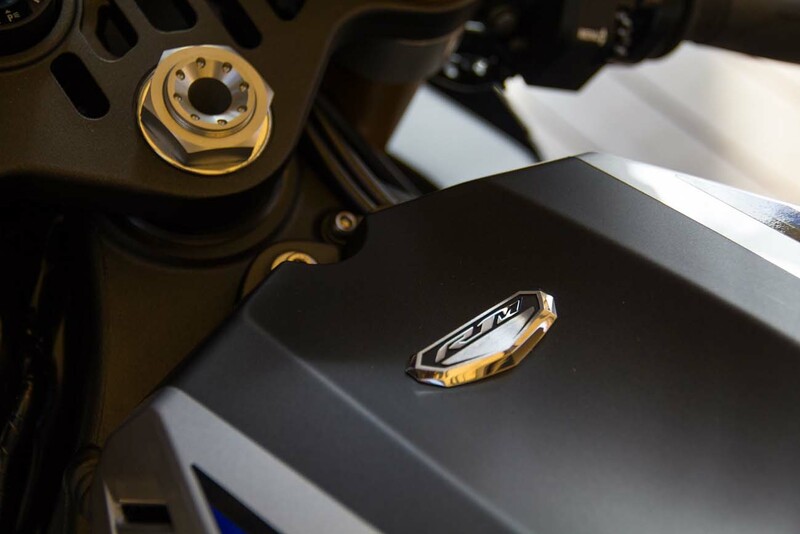 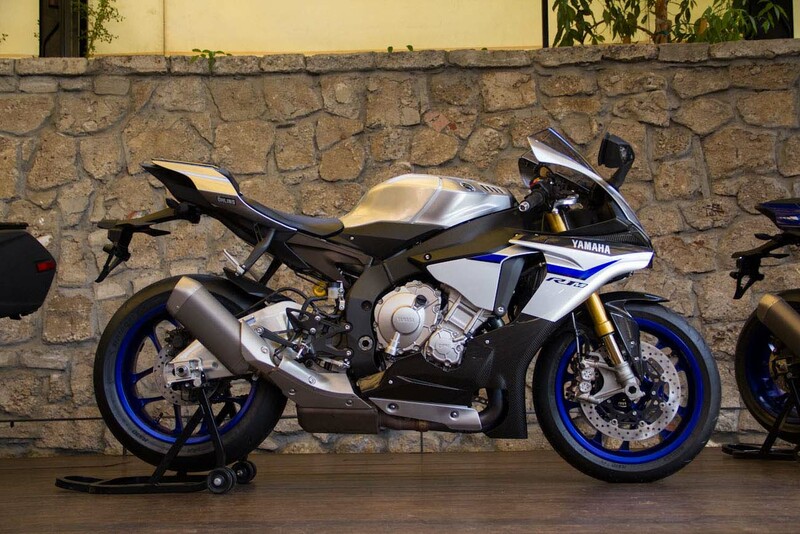 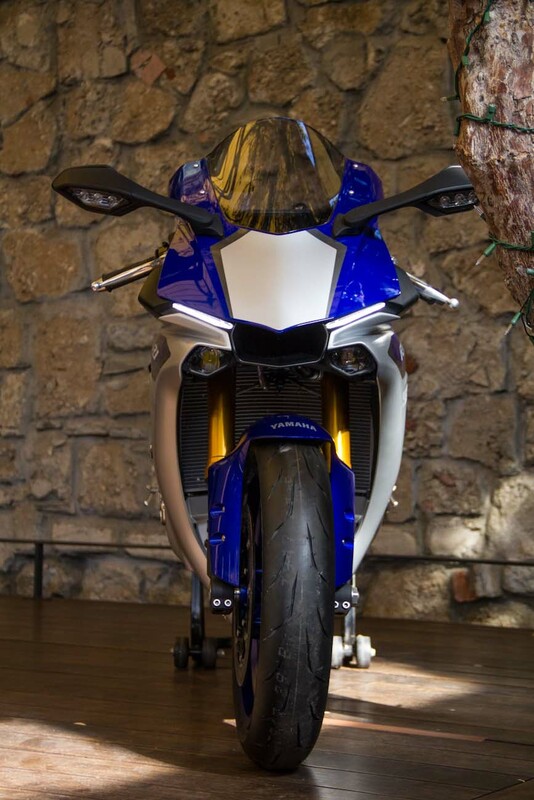 The electronics package on the latter has certainly helped in developing the 2015 Yamaha R1, taking the Tuning Fork brand as having one of the least sophisticated superbike, to now one of the most sophisticated. 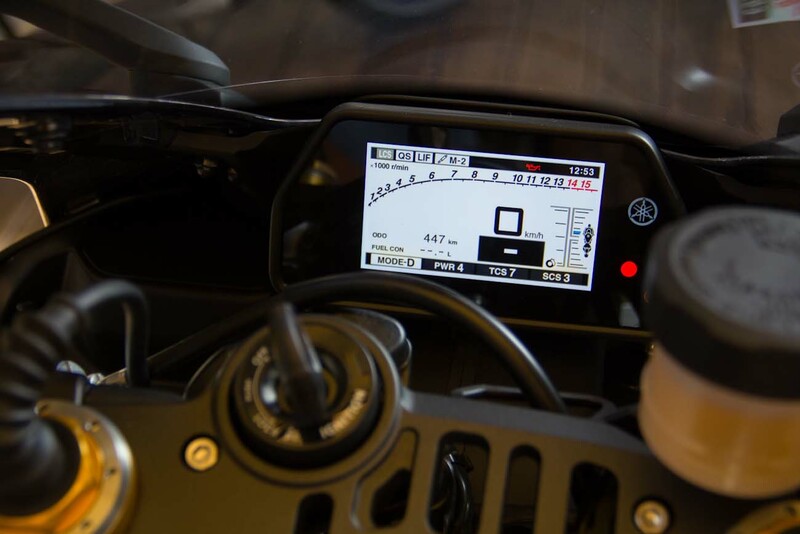 The talk for 2015 will be about inertial measurement units, or IMUs. 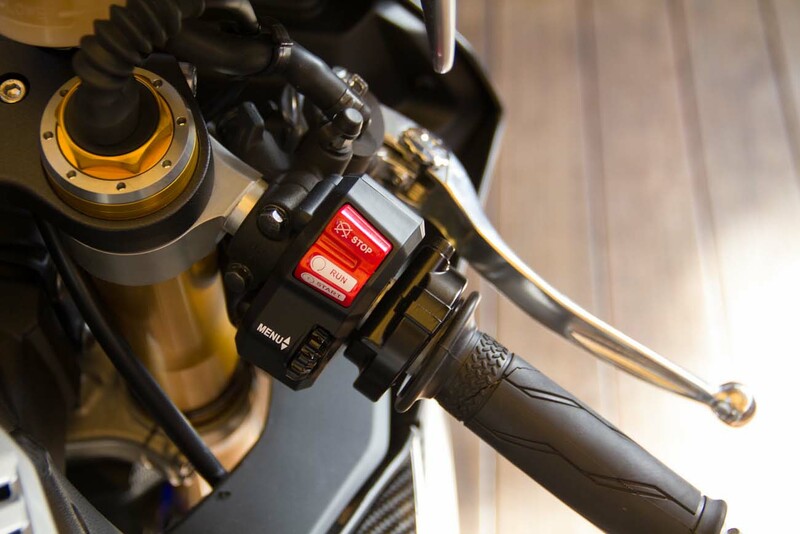 Yamahas’ IMU operates on six-axis, and helps control the Öhlins ERS semi-active suspension (on the R1M), as well as the unified braking ABS brakes, traction control, and other electronic packages. 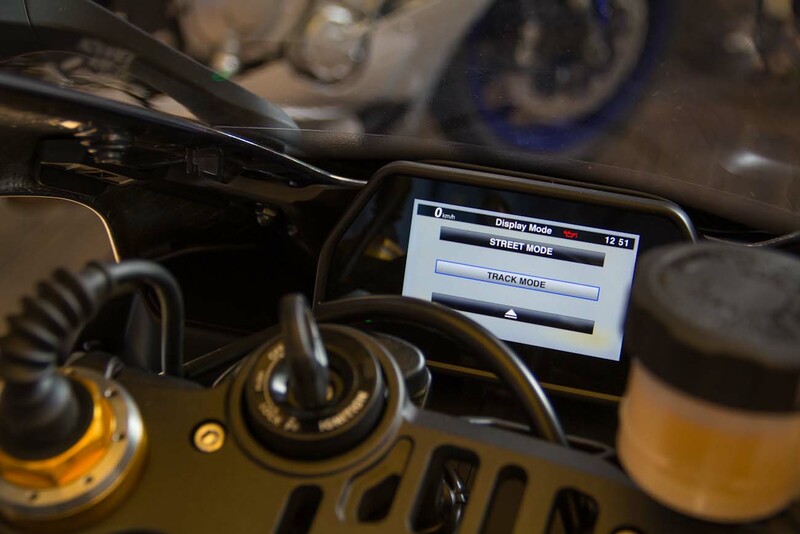 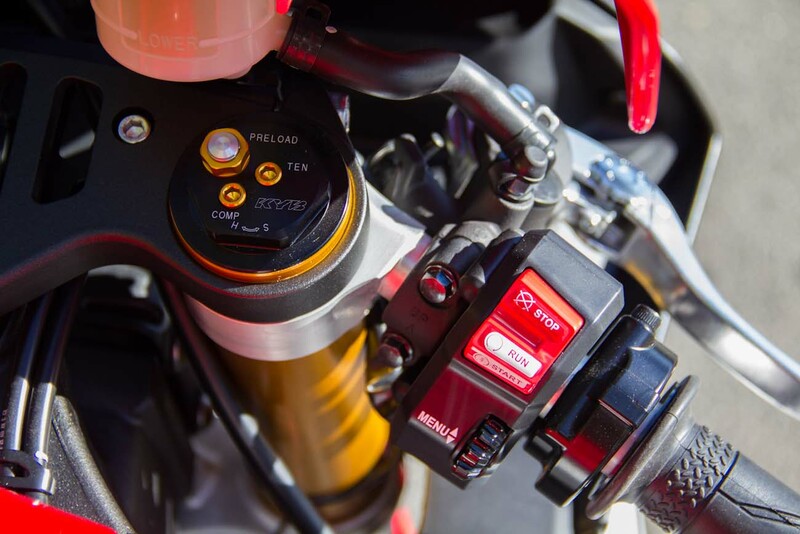 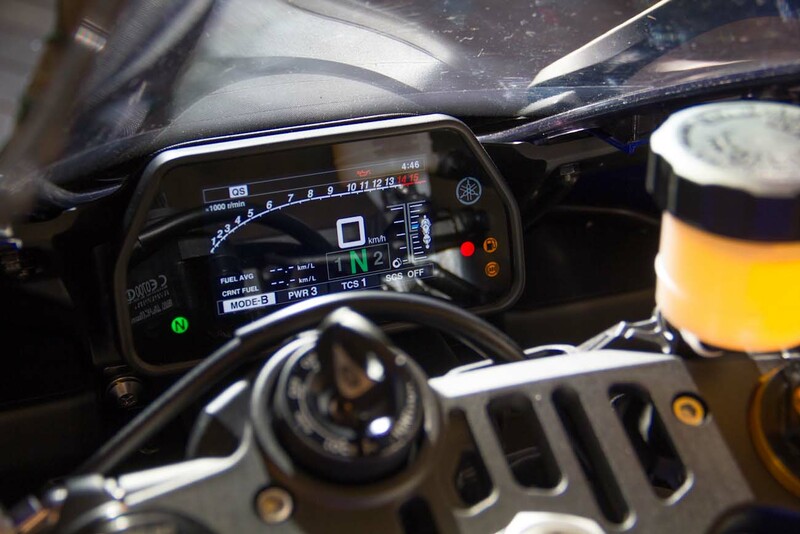 The ability for a motorcycle to know it dynamic movement, coupled with the already complex systems available on the market, is going to be a force-multiplier in rider aid technology. 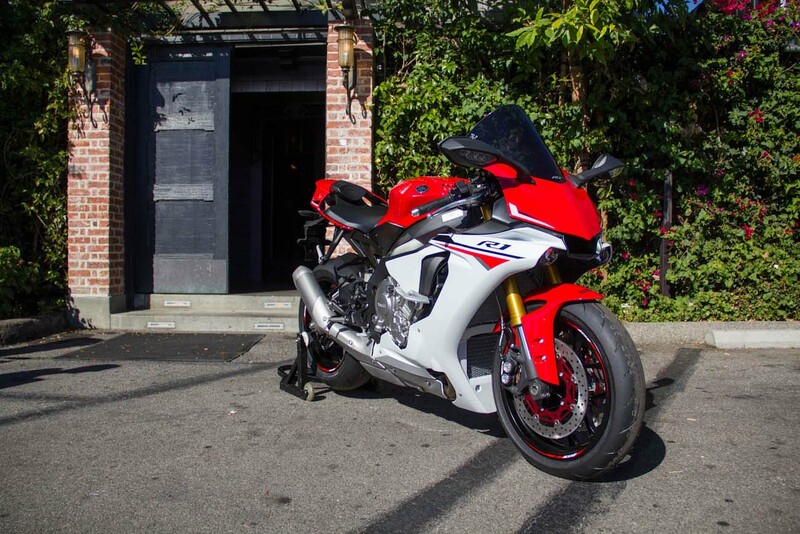 We can already see it cropping up on bikes like the Ducati 1299 Panigale, and it will only continue to be a pre-requisite to performance motorcycles, as electronics continue to become the new horsepower. 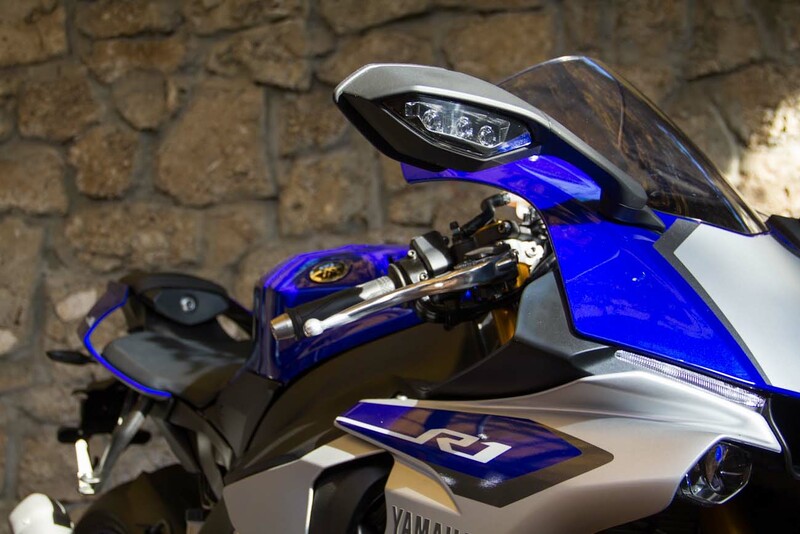 Turning our attention back to the R1, it’s hard to believe that Yamaha is asking only $16,490 for what feels like a European-level machine. 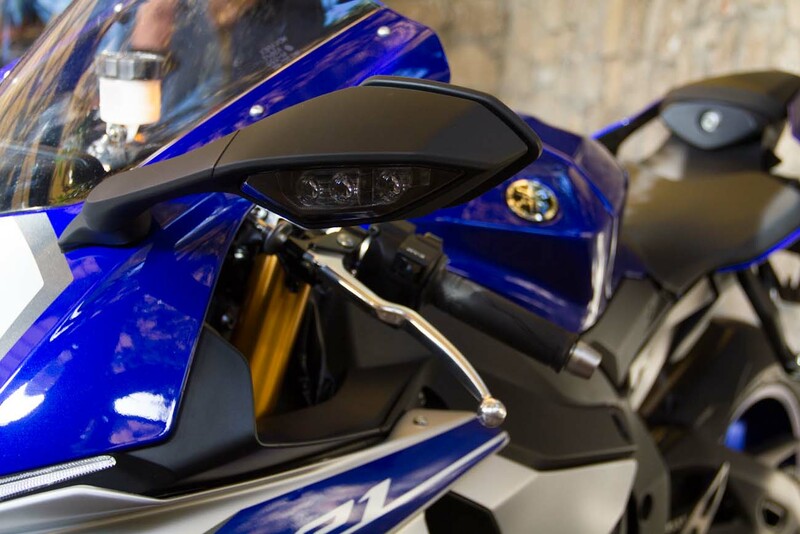 The bone of contention of course will be the headlights under the air intake, and riders will either love the minimalist design, or hate the whale shark that stares them down. 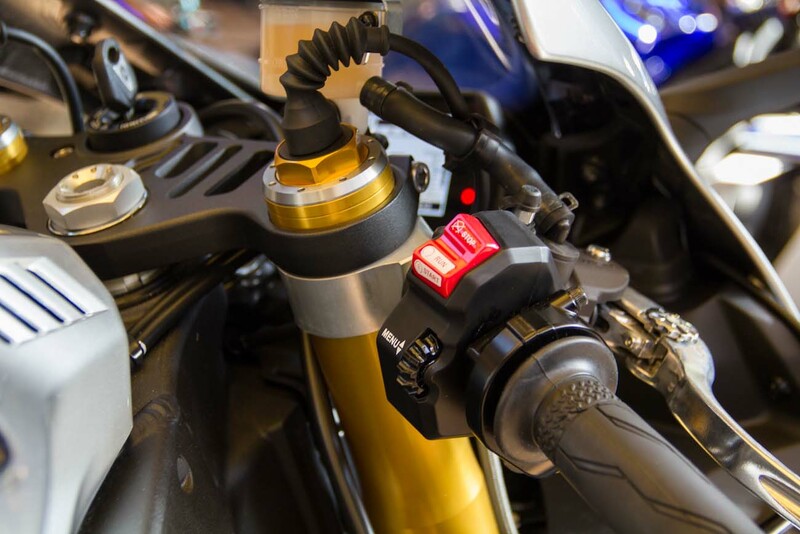 The slant-eyed marker lights are down right sinister looking, which could make for some interesting aesthetics for track day riders and customizers alike. 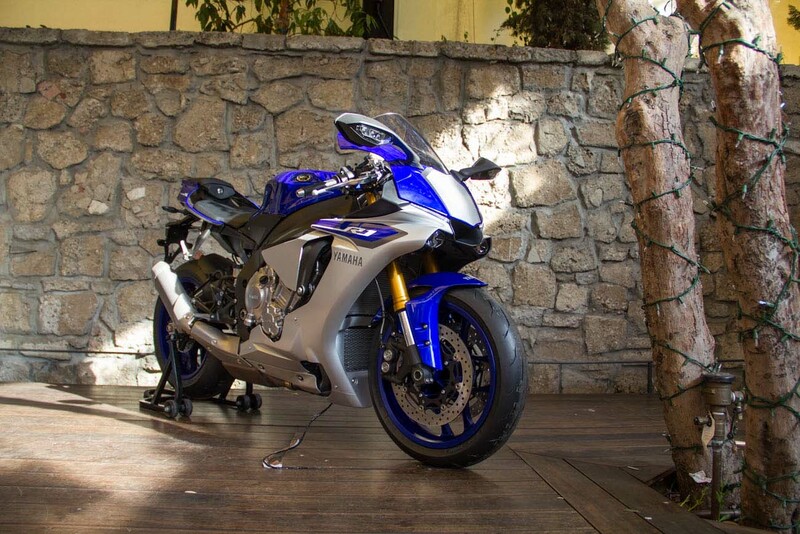 The rest of the machine, it is hard to find fault, especially on the carbon-clad Yamaha YZF-R1M. 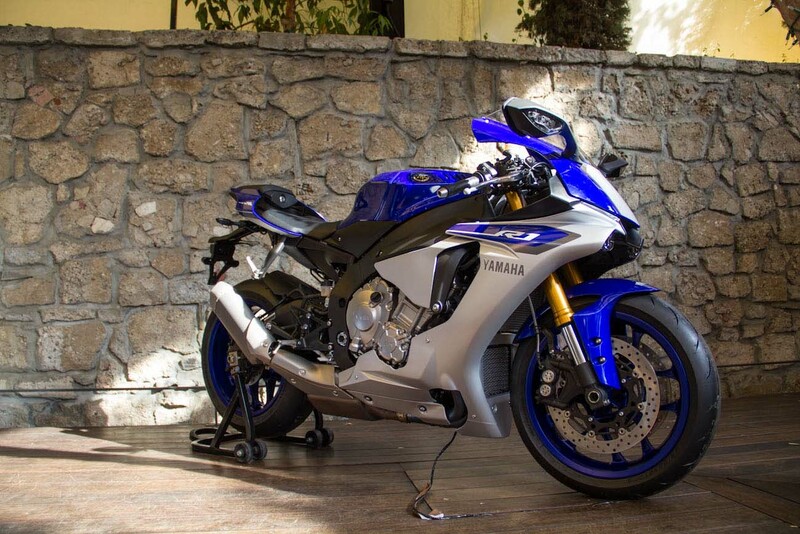 I don’t think anyone expected a Japanese superbike to come with cast magnesium wheels stock, yet Yamaha shocked us again. 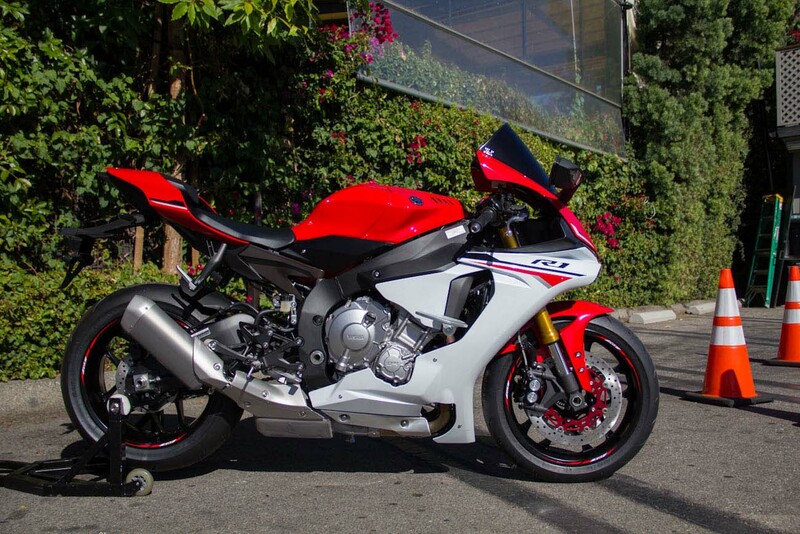 It’s hard to look at the new R1, and the more expensive Honda CBR1000RR SP ($16,699) and the slightly cheaper, though utterly low-tech, Suzuki GSX-R1000 ($13,899), and think these machines are even in the same category. 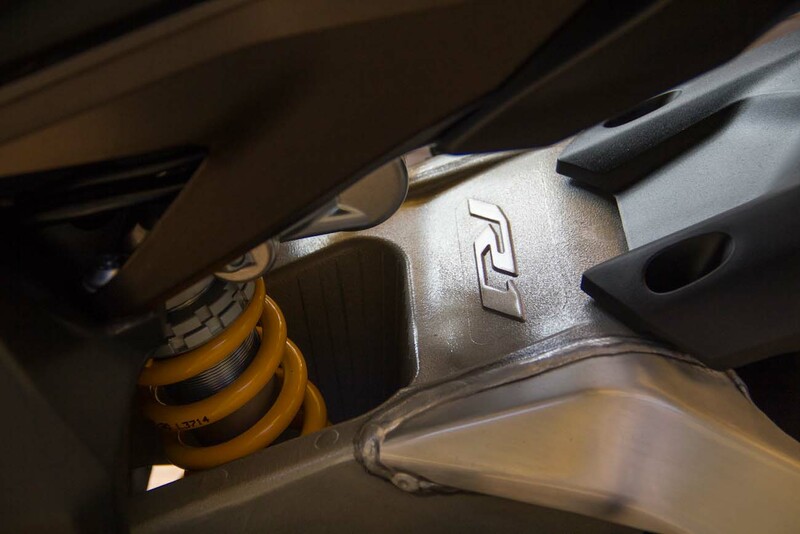 While the YZF-R1M plays in the same sandbox as its European competitors, the base model R1 is a serious shot across the bow of the Japanese OEMs. 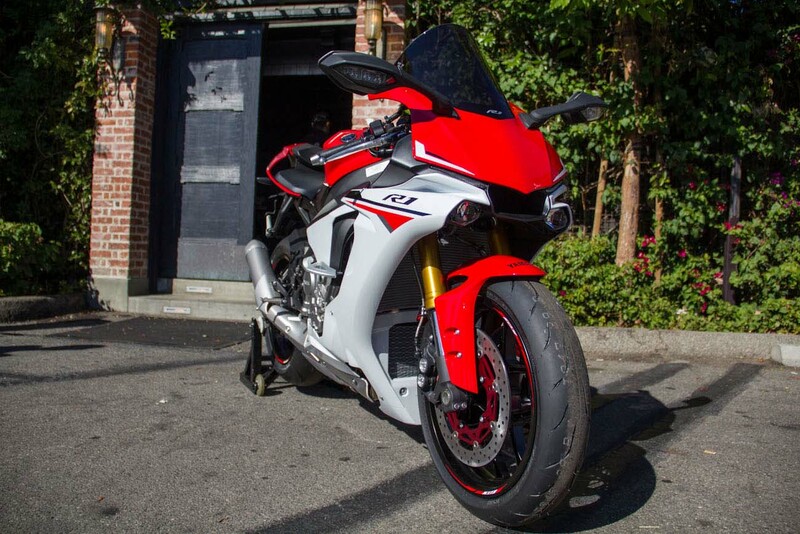 On paper, it’s an easy favorite for superbike of the year (we imagine the print magazines are already engraving the trophy), but we can’t wait to see how it goes in-person, and let the lap times be the judge of this character.